NewDay USA, a leading mortgage lender for veterans, experienced a huge growth surge, creating several job openings for college graduates. To attract the perfect candidate, they wanted a message that would appeal to hard-working, passionate, alpha types. 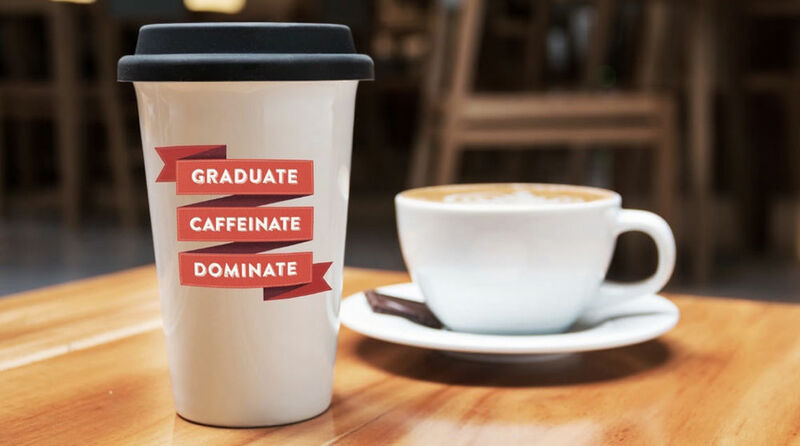 My team developed a tactical marketing campaign and rallying cry: “Graduate.Caffeinate.Dominate”, targeting graduates from local and regional college campuses. The campaign launched with full page newspaper ads in campus and local newspapers, transit and billboards adjacent to the campuses, and a social media countdown, driving traffic and job applicants to the recruitment site. Support materials included a welcome kit, t-shirts, coffee tumblers and posters.